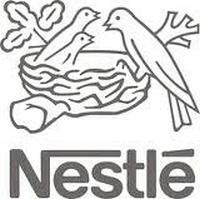 Food giant Nestlé is planning to cut about 500 information technology (IT) jobs in Switzerland as part of the re-organization of its global IT activities. The company unveiled plans for re-organizing parts of its IT activities to benefit from its existing technology hub in Spain and other locations. Nestlé said none of its production sites in Switzerland will be affected by the plan, which is subject to a period of consultation with the concerned employees. Nestlé executive board member and group head of human resources Peter Vogt said the company will explore all possible options to provide support and to mitigate the impact on our colleagues. The company’s Nespresso coffee business intends to set up operational centers in Spain and Portugal to benefit from existing Nestle e-commerce and supply chain hubs, and plans to create a center for boutique operations in Italy too. Nespresso aims to offer roles in the centers to all of the 80 employees affected by the proposed change. Nestlé’s employee base in Switzerland increased to more than 10100 in 2017 from about 6700 in 2003. The company made several investments in the country in the past years. Last year, Nestlé invested CHF 289m in production, distribution, real estate and IT infrastructure in Switzerland, where about CHF 300m is being spent in 2018. At present, Nestlé is strengthening its research entities in Lausanne, which is the central point of its worldwide research and development activities.